'Tis the season of forgiving, gift-giving, reunions and unending eat-outs... And to make the already-fun Pinoy Christmas celebration even better, why not celebrate with San Miguel Brewery products and share the fun online, as SMB 7,107 Celebrations invites you to join their newest SMB #HappyClick contest with lots of cool prizes at stake! SMB 7,107 Celebrations has launched a Facebook app called SMB Keep Clicking where you're invited to share your photos with "Celebrate the Good Times" as theme. Post a photo on your Instagram (must be a public account) with the hashtags #HappyClick and #SMB7107 to the theme of "Celebrate the Good Times". 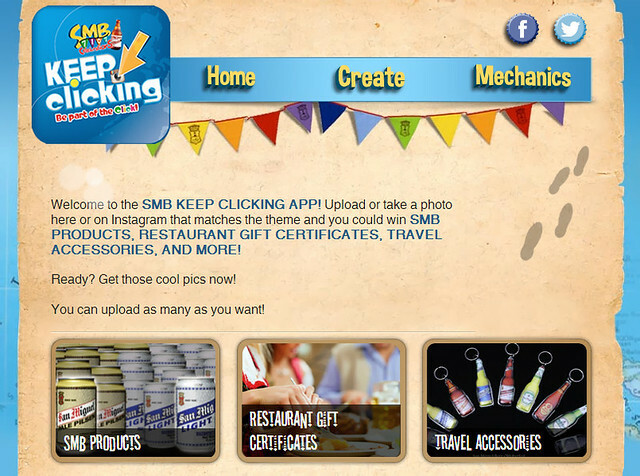 Submit your entry by going to the SMB Keep Clicking Facebook Application, then choose CREATE → UPLOAD from INSTAGRAM. Upon submission, wait for a day or two for your photo to be approved by the admin, after which it will be shown in the gallery. What kind of photos can you upload, you ask? 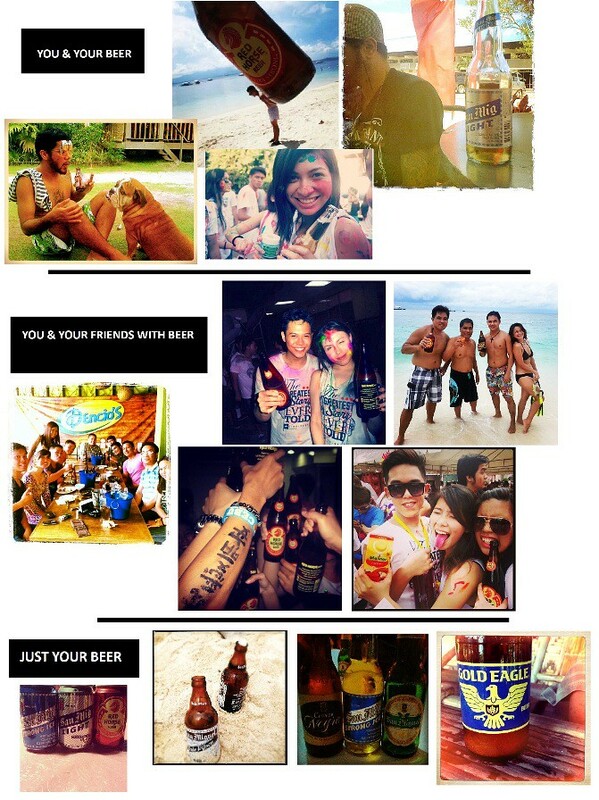 Basically, your chosen photo must fall under one of these 3 categories: 1) you & your beer, 2) you & your friends with beer, or 3) just your beer. To make things clearer, here are some sample entries. It's that simple! So what are you waiting for? Grab your favorite San Miguel Brewery product, celebrate with your family, friends, loved ones, or just by yourself, and snap away to win SMB products, restaurant gift certificates, travel accessories, and more! For complete mechanics and more information, visit SMB 7,107 Celebrations' Facebook Page and the SMB Keep Clicking Facebook App. i wanna join but i dont drink..